The pack utilizes the sanctuary for Pack Meetings and pre-den meeting announcements. Classrooms on the South side of the church are used for den meetings. 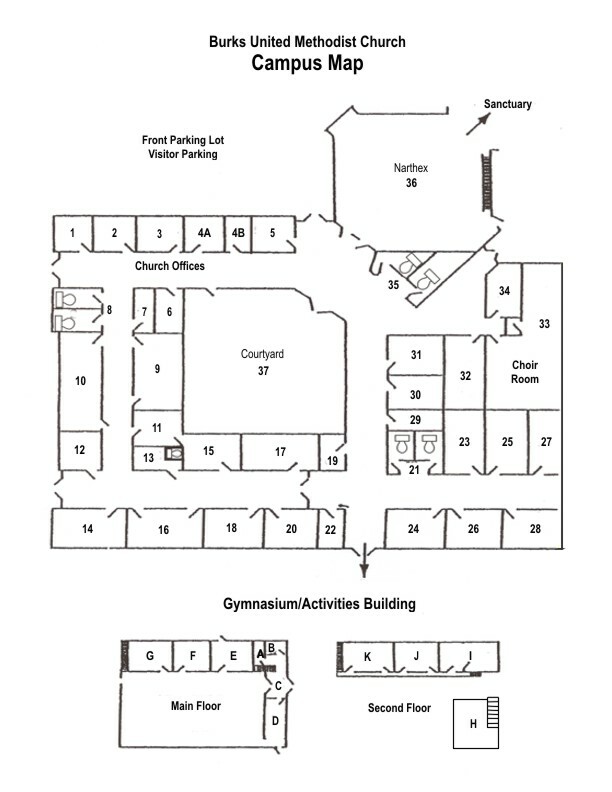 These rooms include: 20, 23-28, and 30-32. Room H in the gym is used for Pack storage. The troop meets in gym on the main floor and use rooms K, J, and I for patrol meetings and boards of review. The closet off room K in the gym is used for Troop storage.